In his impassioned reading, Gustavo implores us to show respect for all hair lengths and styles, even the combover. Listen to The Longhairs Podcast Episode 41. Do you have, or are you thinking about dreadlocks? Loc it up with Louis Douglas, Professional Loctician and CEO of YaniCare Products, on The Longhairs Podcast, Episode 40. For every married man who grows his hair out, there’s a woman picking hair out of the shower drain. Listen to this legendary fireside reading by El Moreno’s wife, on the mess, the stress and the awesome-ness of Living With a Longhair. Listen to Episode 38 of The Longhairs Podcast, where your boys sit down for a debrief on the Premiere Show, The Great Cut and our purpose at The Longhairs. Your mane has been through a lot. Those last few inches have been around since day one. When is it time for a major trim? 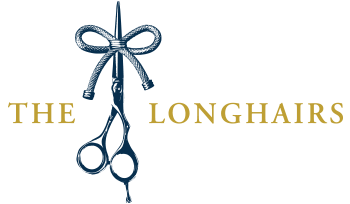 Listen to The Longhairs Podcast, Episode 37, where El Moreno reluctantly cuts his hair, and reflects on parting ways with his last four inches. Listen to The Longhairs Podcast, Episode 36, where El Rubio narrates a fireside reading of the story behind his transcendent journey around the world. From corporate life to digital nomad, El Nómada has been living, working and letting it ride from Budapest to Bali since 2016. Listen to Modern Manimal Matt Totten on The Longhairs Professional Series. Gale Force Productions is an event and live music production company and the go-to resource for live music in San Diego. From booking the bands and the venue and getting the contract, to the stage, lighting, sound and promotion, Gale Force Productions gets it done. 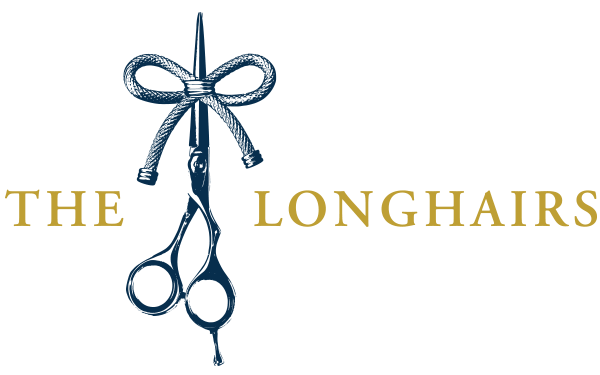 Listen to founder Gale Hopping on The Longhairs Podcast, Episode 34 and find out why we’re predicting Gale Force wins for The Great Cut. With El Rubio on assignment, the rest of the boys drop a behind-the-scenes spring update from the South Bay Headquarters. Listen to Let it Ride: Episode 32. Listen to Cam Meekins on The Longhairs Podcast, as we throw down some flow with the Boston rapper and content creator in Episode 31 of Let It Ride. He’s a creator. He’s a beardsman. He’s part of the team. He’s El Barbudo, and he’s on Let It Ride. Listen to Alec McKee on The Longhairs Podcast. From new products on the horizon to our upcoming hair show, get behind the scenes with your boys in Let it Ride Episode 29: Rapping With The Longhairs. He’s a true creator. An advocate for the black community. And a hair guy. Listen to your boys talking long hair with Maurice Cherry on The Longhairs podcast. He’s a magician, comedian, entertainer, performer, businessman and authentic longhair for life. Like him or hate him you’re going to remember him, listen to the shocking saga unfold with Greg Dow, known in some circles as The Shocker, on The Longhairs podcast. In the beginning we made a commitment to post a blog every week. It’s been one hell of a streak, and it’s changed our lives. In this podcast we talk about streaking, and not the running naked kind. Here we highlight a few of our current streaks—and why you should start your own. Surviving the zombie apocalypse, savage weaponry, counter-surveillance and heightened awareness. We cover it all with El Mateo from Praetorian Ventures on The Longhairs Podcast. We have just over one year to plan the largest gathering of men with long hair for a charitable purpose since the dawn of time. We intend to document the entire journey from now until 3/9/19. Watch as your boys begin scouting locations for this epic follicle forray, in Episode I of our journey to The Great Cut. Crack open a cold one and listen in with El Rubio, El Moreno and El Chuckarino as we recap, reflect and answer your questions about our incredible run to Shark Tank. Jesse Marvin aka “Professor Marv” is a professional power lifter and top 10 strongest man in the world under 200 lbs. He raps with El Moreno & El Rubio about the competitive lifting circuit and working out with long hair. We have also released exclusive access to the Professor Marv certified Longhairs training program. Do You Have The Gutz? Sergio Gutierrez is a professional musician, artist and veteran supercurl longhair. In this episode of ‘Let It Ride,’ we take a dive into what it takes to be a musician, artist, fitness freak and master of the curls. You know. The long haired ginger guy who does the videos, often with a flower in his headband, perfectly straight fire-red hair cascading from all sides. In this ultra-offensive podcast with JP Sears, The Longhairs rap with JP on his book, long hair, fitness and being hella weird. Listen and get spiritual AF. We were honored to be the inaugural guests on the Forte Podcast. Not only did we have a great time rapping with El Forte, but we uncovered some deep truths about what this community really means. It’s been a little while since we’ve seen old Gustavo around these parts. The last time we checked in he shared a few of his awkward stage hair tips with us. Now he’s deep in his long hair journey and we wanted an update.